Klipsch Audio Technologies (also referred to as “Klipsch Speakers” or “Klipsch Group, Inc.”) is an American loudspeaker company based Indianapolis, Indiana. Founded in Hope, Arkansas in 1946 as ‘Klipsch and Associates’ by Paul W. Klipsch, the company produces loudspeaker drivers andenclosures, as well as complete loudspeakers for high end, high fidelity sound systems, public address applications, and personal computers. 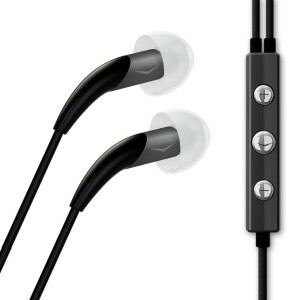 “In Ear” headphones or earphones using balanced armature technology were launched in November 2007. 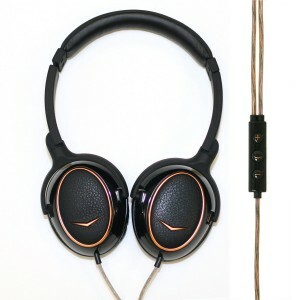 These headphones use patented Contour Ear Gels, invented by Mark Blanchard of Klipsch Group, which are anatomically designed to accurately fit inside the human ear canal. These oval shaped silicone tips reduce ear fatigue by minimizing pressure to any one area of the ear canal wall. The patented ear tips are designed to be inserted in the ear canal to acquire an air seal for noise isolation and a proper frequency response. We’ve teamed up with the legendary singer/songwriter/musical novelist to bring you the Signature Audio Edition Lou Reed X10i. With aesthetics chosen by the mastermind himself, the Apple-compatible Lou Reed X10i comes with a 3-button remote for controlling calls and music, a 360-Degree mic for perfectly intelligible calls and durable cables that can hang with the most active listener. Because the microphone is a highly intelligible 360° design, you don’t have to talk down into it or hold it close to your mouth. The microphone also features echo cancellation, which keeps it from picking up surrounding noise. Unlike traditional, circular-shaped ear tips that put stress on the pressure points inside your ear, the X10i utilizes patented oval ear tips that naturally ﬁt the shape of your ear canals, making them extremely comfortable and virtually impossible to feel. Additionally, these exclusive ear tips produce a perfect acoustic seal, which minimizes outside noise so you can enjoy your music at lower, safer volumes. 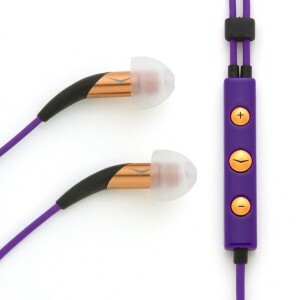 Inside each ear piece, which is made of machined aluminum and finished in anodized copper, you’ll find an exclusive full-range armature micro-speaker with a tuned bass-reflex system that delivers lifelike dynamics, sonic clarity and booming bass. While the Image X10i serves as a pair of premium headphones for any device with a 3.5 mm headphone jack, its mic and remote system handles the music and/or voice control of compatible Apple products. Perfected with pristine yet virtually indestructible materials and fine leather accents for unsurpassed comfort, Klipsch has packed over six decades of technology and acoustic prowess into the Klipsch STATUS so you can have the style you demand with the sound you deserve. Features Memory Foam Ear Cups – Allow for comfortable, long-term wear and superior noise-isolation Hi-Fi Inspired Cables – 2 detachable cloth cables like those used in premium hi-fi systems fit any device with a 3.5 mm headphone jack and provide flexibility and functionality Advanced Three-Button Mic and Remote – Offers full control of iPhone, iPod touch and iPod models, while allowing for seamless control of music and phone calls. With a ceramic design that’s as sleek as it is strong, the Image X7i headphones offer legendary sound that’s built to last. 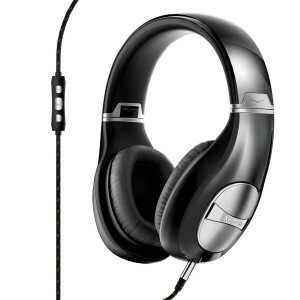 Full-range armature drivers deliver deep bass, clear mids and crisp highs straight to your head. A three-button remote and mic let you control phone calls and playlists with the push of a button or the sound of your voice. Complete with five sizes of our patented oval tips, you can customize your fit and connect with your favorite artists on select Apple products. 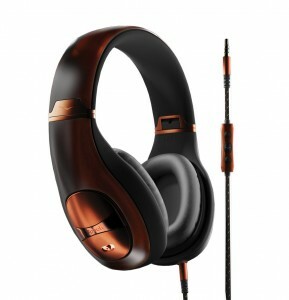 From its sleek design to luxurious materials, the Klipsch Mode M40 headphones reinforce all that Klipsch stands for. As our first-ever active noise-cancelling (ANC) headphone model, this headphone presents 45 hours of noise-cancelling capability and remains a high-performance stereo headphone when without battery power. Materials similar to those used in high-end Italian sunglasses contribute to the Mode’s fashion-forward essence while providing unmatched durability. 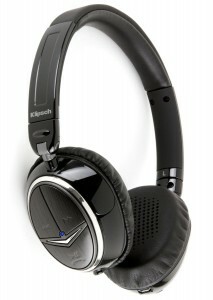 The Klipsch Mode M40 headphone features an Apple-based mic and three-button remote system for taking calls and controlling music on iPods, iPhones or iPads. Connect wirelessly with your favorite artists thanks to the on-ear Image ONE Bluetooth headphones. The Hi-Fi Bluetooth capabilities allow for lossless audio quality wherever you go, with a foldable headband for ultimate portability. 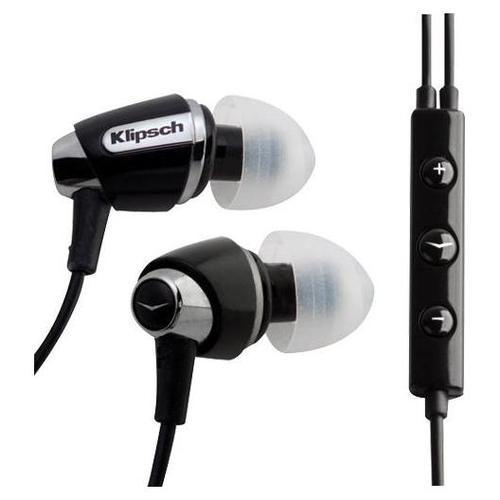 Professional grade foam ear cups and Klipsch’s renowned speaker performance let you fully surround yourself in sound. A built-in rechargeable battery provides extended listening, while ear cup mounted controls and built in mic give you complete command over music and phone calls. 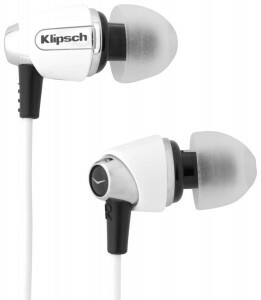 The Klipsch Image S4i earphones are nearly identical to their sibling, the Image S4. 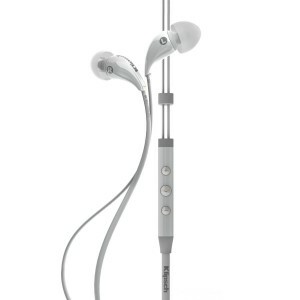 They provide the same comfortable fit and stellar sound quality, but also offer the added bonus of an integrated mic and call answer button, as well as volume controls and remote playback for the iPod. Call quality through the inline mic is solid, though not overly spectacular for a wired headset. At $99, the Image S4i costs $20 more, which is probably worth it for those with an iPhone. The Fillmore. The Apollo. The Royal Albert Hall. Apartment 3A. Let the music come to you. Patented headphone technology and 65 years of legendary Klipsch performance combine to replicate the sound of floor standing Reference speakers. 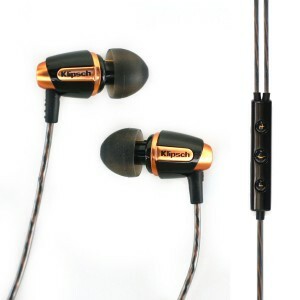 Get the same experience you’ve come to expect from Klipsch engineering in your on-ear headphones. Reference ONE proudly carries on the family name and faithfully replicates a live concert and delivers everything but the ticket stub.